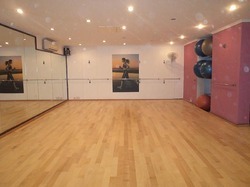 We are providing Aerobic Hall wooden Flooring. In Different sizes and multi color option. 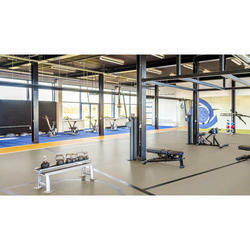 To meet the various requirements of the customers, we are involved in providing Aerobic Halls Flooring. We are one of the most preferred business firms for providing Aerobic Wooden Hall Floorings. From selection to fitting and carpeting, we provide complete flooring solutions for our customers. Our products are used as flooring in indoor multipurpose hall, badminton courts, squash courts and gymnasium halls.